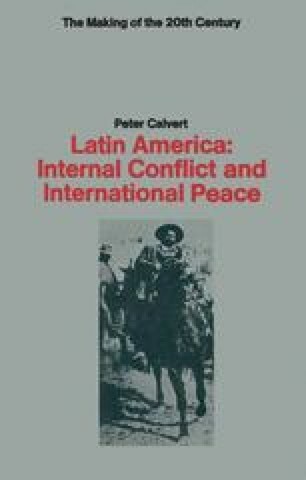 In 1900 the great countries of Latin America seemed to have attained an almost unprecedented degree of stability. If there was revolution in Colombia and the future of Peru without Piérola was still uncertain, the fact remained that other countries were relatively quiet. If new and strange political doctrines were on the increase and the domestic state of both Spain and Portugal (to say nothing of France) left much to be desired, their former colonies seemed to be on the point of coming into their own.